Family Law Advice is an association of legal professionals, operating in London and the South East , which provides a range of services to help you with your family legal matters. Founded by Rebecca Lewis, a legally qualified and highly experienced practitioner, Family Law Advice supports, advises and assists you throughout the whole family legal process. 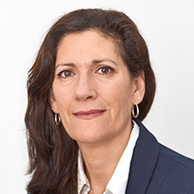 Rebecca Lewis is dual qualified as a solicitor and Fellow of the Chartered Institute of Legal Executives specialising in Family and Matrimonial law. She has been a McKenzie Friend in London and the South East for a number of years, providing advice, support and assistance to parties involved in family court proceedings. She assists in the resolution of family disputes with the best interests of the child in mind. She also works on financial dispute cases and assists with divorce proceedings. Her experience of successfully assisting both mothers and fathers, husbands and wives, and working in law firms, gives her the distinct advantage of knowing the system inside out, how the other party might be advised and how to challenge their strategies and the courts’ decisions. Each case is treated with integrity, sensitivity and discretion. She is regularly referred clients on by solicitors who believe her qualifications, skills and experience offer their clients a safe pair of hands. 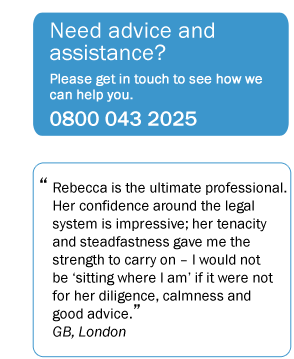 … “Rebecca is a highly competent and experienced legal practitioner, excellent at advising and assisting clients through the process and always fights their corner“. Family Law Advice is associated with a number of professionals in the family law sector including mediators, solicitors, barristers, children’s guardians and other McKenzie Friends around the country. We would be delighted to put you in touch with our associates should you require any other professional support. 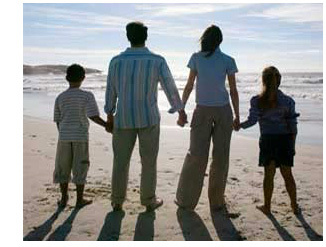 Family Law Advice has Professional Indemnity Insurance.